It is a strange thing to see the board, as your train pulls into the station, lit up with the same place you departed not 50 minutes ago. A train to return to its origin, my home, a name glowing white like some false beacon echoing from the future. My destination, my transportation, in a mere 9 hours time. A taunt, a challenge, the futility of another day. Why not stay? Why not win early? Why not head home while the sun is still in the sky? (Somewhere, behind that grey winter haze). The afternoon rush beaten. Not to stand but seat-ed. No post work madness, gladness, dullness, soreness. To enjoy the passing scenery. To play with my dogs that will be there to greet me, if they were not asleep. Dreaming of a walk tomorrow. Before I go to work tomorrow. Before I catch a train tomorrow. And do it all again. And strife when the toner is low. ‘Cause the last data entry was slow. Though in language so friendly and sweet. Weaker players end up on the street. Did I hit ‘reply all’? Is the deadline for that pile next week? The phone rings but you don’t want to speak. Are a speck as the whole world walks by. Out of fear our bank balance runs dry. Tired of your kids playing aimlessly? Do sports games seem wasteful considering the unlikelihood of your child becoming a professional athlete? 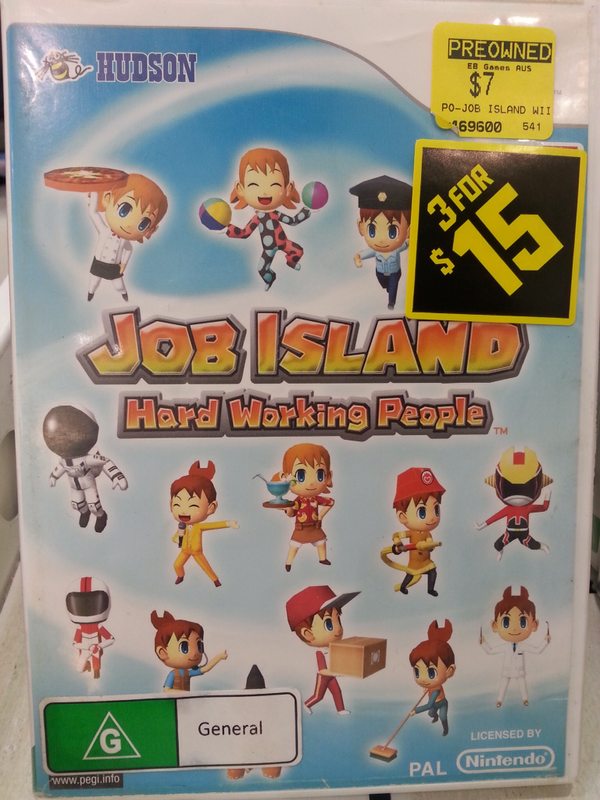 Give them some direction and prepare them for life on the giant rat-wheel of modern life with: JOB ISLAND!! !